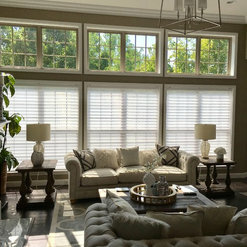 We work with each client to find window treatment solutions that not only fit the design and functionality of their space but their budget as well. Each client is unique in their project and cost is based specifically on a project to project basis. So what are you waiting for? We are just a phone call or email away. 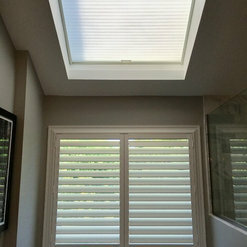 Hunter Douglas Certified Window Coverings Professionals. Hunter Douglas Certified Installers. We ordered replacement blinds due to candle damage to our previous set of blinds, which were bought from this company. 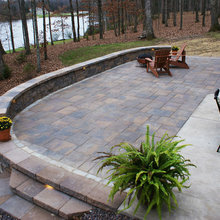 They had our information readily available and quickly ordered and installed our replacement set. Excellent installation. High Quality Plantation Shutters. Friendly, Easy to work with, Will definitely recommend and use again. Thank you so much. 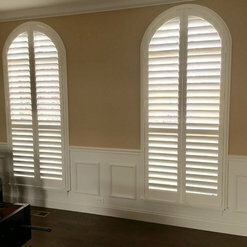 The company installed plantation shutters on many of our windows. The initial consultation was easy and no-nonsense. Delivery took a long time cut to a dock workers strike but once the shutters came in they were installed promptly. Good customer service when one piece wasn't perfect. Good experience. Would hire again. Thank you for taking the time to review our company and services. We greatly appreciate it. Enjoy your new shutters and please keep us in mind in the future if any additional needs come up. Thanks! Great service, was always able to get ahold of an actual person. They look beautify. Very well made. 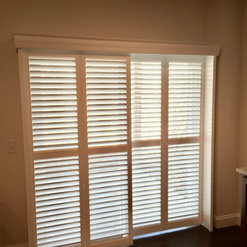 We had to hire a professional installer for $350.00 to install our sliding shutters. The installation was harder than expected due to our door handle on our sliding door. Awesome! 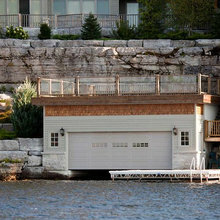 So glad to hear that your sliding door shutters worked out great. We would love to see the end result. If you get a chance and can send a photo over that would be awesome. It has been a pleasure working with you. Please let us know if we can be of assistance in the future. They did my windows and sliding doors in 1999 and I was so satisfied that I called them again 16 years later. There were a few issues this time, but they handled them promptly and professionally and I was completely happy with the results. This company installed a blind in our home. 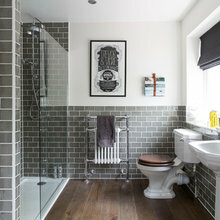 The representative who came over to give an estimate for the project was very knowledgeable and polite. The men who installed the blind was also very nice, polite, efficient and fast! I had shades put in my master bedroom. They were timely and hung beautifully. I would highly recommend them. Thank you. Your master bedroom looks great with the new shades! We were glad to be of assistance. Have a wonderful day. Have used 2 blind guys before. They do a great job. Very helpful and friendly. Reasonably priced considering they do it all compared to going to the hardware store and having to install yourself. It was a pleasure working with you on your latest project! We are so glad to hear you were pleased with the services and products a second time around. Thanks for choosing to shop local for your window treatment needs. They were professional from start to finish. They promptly returned phone calls. Came when they were scheduled to. Were neat and tidy when doing the installation of new blinds and cleaned up afterwards. Very courteous! Thank you for choosing Two Blind Guys for your custom window treatment needs. We appreciate you taking the time to review our company and services! Purchased and had installed Hunter Douglas shutters on nine windows. Very happy with the finished product. Installers were professional, well mannered. Sales person was eager to make sure the job was of highest standards. Would definitely recommend a call to Two Blind guys for any future needs. 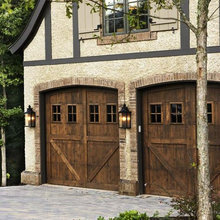 We have greatly enjoyed working with you on your most recent project! Please keep us in mind in the future if you have any other additional needs. Thanks for the kind review! 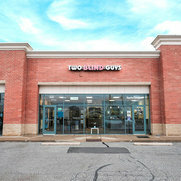 We have been very pleased with the service received from Two Blind Guys. Workmanship excellent, repairs completed in timely manner. 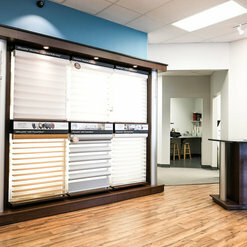 We have had four large Hunter Douglas blinds restrung. Thank you for taking the time to review our company. We appreciate the kind words! 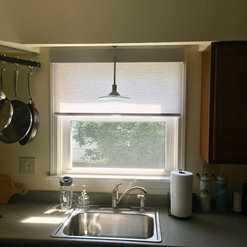 Two Blind Guys commented on a discussion: Are these blinds too wide? Commented: Drapes in Master BedroomI would agree that something should be done with the small window if you go drapes on the large. A fabric cornice is a nice way to tie the 2 windows together.